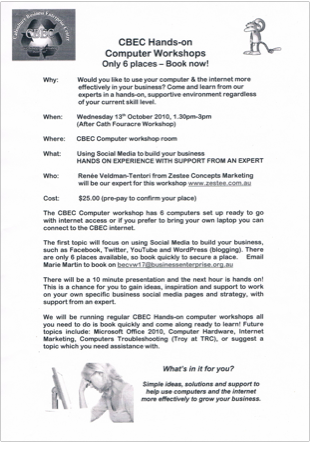 Today was the first CBEC (Caboolture Business Enterprise) Hands-on Computer Workshop. Copy of the flyer below. There will be a follow up workshop on Wednesday 10th November. Bring your own laptop of work on one of our computers. $25 with a maximum of 6.